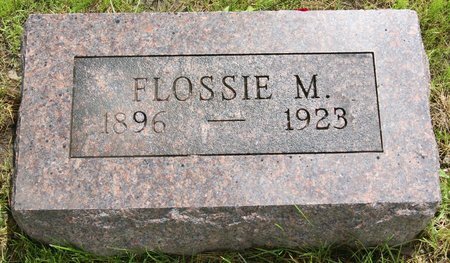 Flossie Mildred Deaver, daughter of John Sumner Deaver and Ada Belle Manroe, was born Oct. 29, 1896 in Lenox, Taylor Co., Iowa and died April 8, 1923 in Davenport, Scott Co., Iowa. Her obituary (Davenport Democrat and Leader, April 9, 1923) gives her birth date as Oct. 29, 1895. She married Adelbert Leroy Pennebaker Feb. 14, 1917 at Lenox, Taylor Co., Iowa. Searching for FLOSSIE MILDRED DEAVER PENNEBAKER in Taylor County Iowa?